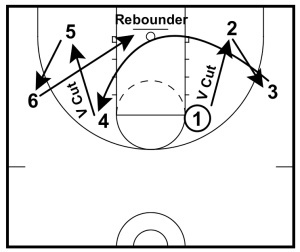 This shooting drill is from Matt Monroe’s former Hoops Roundtable site. 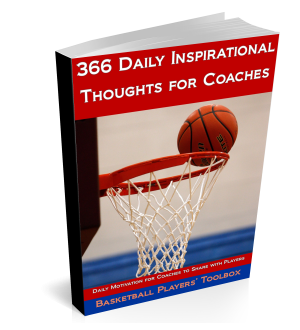 Modify this drill to fit what types of shots you get from your offense and that fit the shots that your players take in games including adding in 3 point shots to the drill. You could add an element of a time limit or change the scoring so that the rebounder and the shooter are scored together as a team and competing against other two player teams or against a scoring standard.